Download Movies On the Go On Your Smartphone (Android). Instead of watching movies online, you can download movies to Android phone or tablet with WiFi or mobile network to watch those movies later/offline. Google PlayStore offers apps to download movies and watch offline on Android phone or tablet. You can restrict the apps to download movies on Android device when your mobile connected to WiFi to save mobile data. These downloaded movies can watch later when you are away from your home without WiFi. There are additional free Android Video/Movie Player Apps that supports all movie formats. The apps listed here also support movies and TV shows to download and watch offline later. Android Video Downloader is the free app to download your favorite videos. This app helps you to download videos from the video link that you can get from a regular browser. In the browser simply click on the video link that you wish to download. From the Action menu, select Video Downloader, and the download should start automatically. You should be able to see the download progress in the notification bar. Downloads are automatically added to Gallery and are stored in your “Download” directory (in this folder: /mnt/sd Card/Download). For Android 3.2 and above, downloads appear Android phone’s download manager too. All Video Downloader is fast and easy to use Android app for downloading media files from the Internet. With All video downloader, you can download any type of files such as videos, music, photos, and eBooks straight to your phone. Once you download the files, you can watch them, listen to them, and read them without worrying about the internet connection. All video downloader supports major streaming video sites such as Vimeo, TED, and more than 50 other sites. All downloaded media files will be automatically organized by file types such as “movies,” “music” and stored in “File Manager.” The downloads can be resumed automatically, even if you lose internet connection. To start the download, you can either type the link or search keyword in an address bar or tap the link from the history or bookmark. When you are on the page you want to download; you can download the file by tapping the “Downloader” button located the first icon in the top right bar. Related: Top 30 Best movies Download sites. Google Play Movies & TV allows you to watch movies and TV shows purchased or rented on Google Play. You can watch your favorite movies and shows instantly on your Android phone or tablet, or on HDTV using Chromecast. You can also download and watch from anywhere, even when you’re not connected, see the Google instruction to download videos to Android device. Google Movie Wishlist is offering you notification feature when a movie added to Google Play that was on your wishlist to watch later. Related: Top 5 free sites to download full HD movies . YouTube offers an app for Android phones and tablets. You can stream and watch the hottest music videos to what’s trending in gaming, entertainment, news, and more. You can subscribe to channels you love, share with friends, and watch on any device. Youtube app lets you send videos from your phone or tablet to your Chromecast, game console, or smart TV. Youtube allows downloading movies in certain countries, like India, still not in US or UK. Netflix is a leading subscription service for watching movies and TV episodes. The movie app, Netflix starts to allow downloading movies with Netflix Android App. For Android users, even you can select to save the downloaded movies or TV shows to memory card to save Android memory. Android with 4.4.2 OS or later users can take advantage of this feature for those who already have a valid monthly Netflix subscription. However, Netflix will not allow you to download all of those videos from their collection. These download features are allowed only for certain titles. You can see a download icon next to the movie or Tv episode title if those are allowed to download into your Android phone. Here is the help link for those who have any difficulty in utilizing this feature. This App offers mainly Indian TV channels and shows along with movies. In addition to that, those coming in Star Network Channels will be available for streaming or downloading. Hotstar offers TV shows, movies, animation, music, news, entertainment, gaming, original comedy and other massive videos. This app is compatible with the Android phone and the Tablet. With Hotstar, you can get live IPL scores, IPL schedule & fixtures, and all other details for cricket fans. BBC iPlayer helps you to watch live TV and catch up on the past 30 days. You can watch on Wi-Fi and cellular networks and download TV program to watch later on devices running Android OS Ice Cream Sandwich and above. This app allows to browse categories and channels, cast content to your TV using Chromecast, etc. iPlayer determines what type of network connection is in use (Wi-Fi or Cellular) for the Downloads feature. Downloads are enabled when connected to a Wi-Fi network. On a cellular network, downloads are disabled/paused. ITV Player can catch up on your favorite ITV shows or watch ITV channels live. Devices running on operating systems 4.1 and below will be able to access an older version of the ITV Player app. With ITV player you don’t want to miss a show. You can watch from Corrie and Emmerdale to live sport, Britain’s Got Talent to hard-hitting documentaries, compelling crime thrillers and all!. ITV player also supports to cast movies to Chromecast that can play on big screen TV. As long as you a prime member Amazon let you download movies and popular TV shows with Amazon Prime Video Apps. There is no need to pay additional money to download movies as long as you are happy with prime movies. However, you can purchase additional movies and download from Amazon if you want. Amazon prime members from India can enjoy the Bollywood and regional Indian hits on Android phone or tablet. VUDU Android app lets you watch movies and TV Showswherever and whenever you want. You can watch the newest releases including Star Trek Beyond, Ghostbusters, The Legend of Tarzan and Fear the Walking Dead Season 2 way. VUDU for Android devices puts these and over 100,000 more movies, and TV shows only a tap and swipes away. You can join VUDU for free, rent or own only what you want, with no subscription or late rental fees. This app lets you stream directly to your phone or tablet, or download to watch offline and on the go. 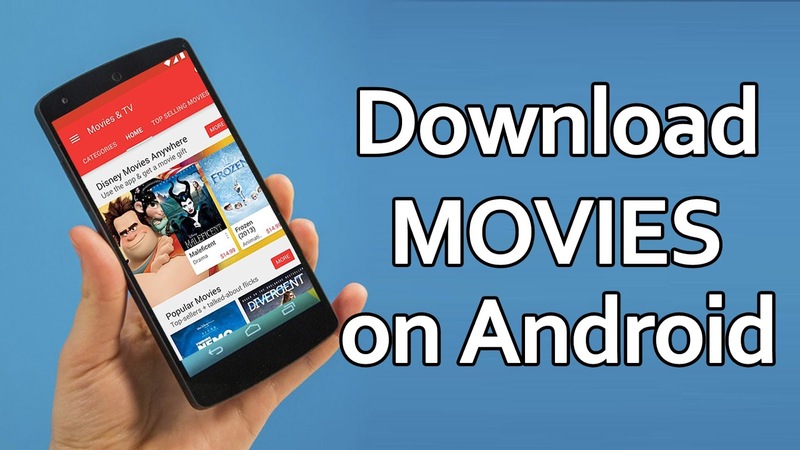 With these movie downloader apps for Android, you can save mobile data by downloading shows and movies with WiFi. Later, when you go out, you can watch downloaded movies offline while on road. There is no need to be on WiFi or data network to watch these downloaded movies. Please consider saving movies to an external memory card on Android to save the internal memory of Android Phone while downloading videos on Android.